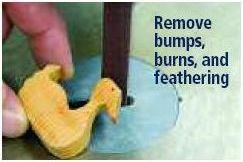 remove bumps, burns, and feathering, and correct wandering from a cutting line. They also work great on curves, concave or convex edges, and can reach into intersections. 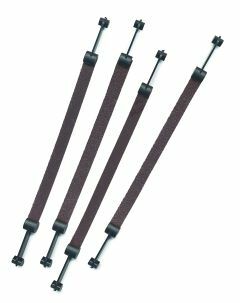 ScrollSander belts come with pin and plain ends in 1/4" and 1/2" widths in a choice of 80, 120, 180 and 220 grits. Mount Scroll Sander belts as easily as a blade. Remount with opposite side up to extend the life of ScrollSanders. 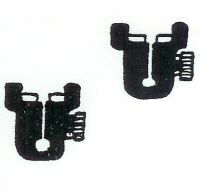 Fits most 5" scroll saws (Craftsman®, Delta®, DeWalt®, Excalibur®, Ryobi®), but modifications may be required to throat insert or table opening depending upon width of sander used. Be sure to check your table/ throat plate opening before purchasing sanders. DeWalt® & Excalibur® Scroll. Saws only accept the 1/4" sanders unless you drill the table hole larger. 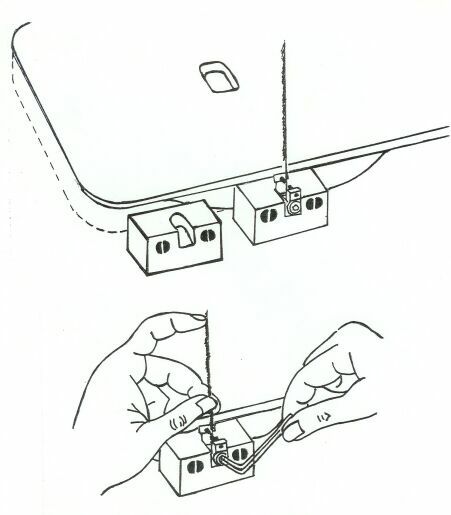 Dremel® 1670, 1671 & 1680: use pin end sanders. Remove nub of plastic at gate to fit into clamp, if necessary. 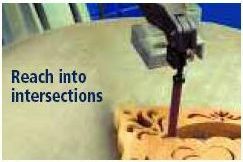 Delta®: use side mount, cut table insert to fit sander, or remove table insert. 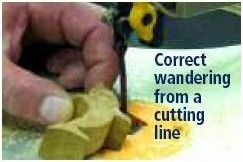 Ryobi® SC 160: use pin end sanders. Ryobi® SC 162, 162VS & 165: use plain end sanders only. Hegner®: use pin end sanders. Does not fit RBI®, Reliant®, or Moto-Shop®. 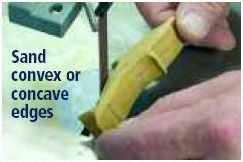 Plain end sanders fit most conversion kits for mounting blades with plain ends on pin end saws. Sometimes it is difficult to see when threading a blade up through a small pilot hole when fret sawing. 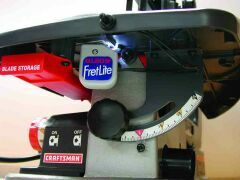 The Fret Lite mounts under the saw table and shines light up through a hole (you drill) and makes this task much easier. 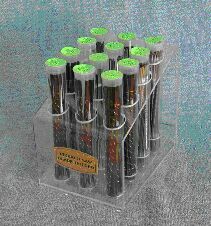 12 plastic tubes with plastic plug covers keep your scroll saw blades organized where you can find them. The plastic base organizes the tubes so that you can see what's in them at all times. No more mixing and hunting; a place for every blade. Momentary On. Complete with 18" cord with receptacle plug and 6' cord with 3-prong plug. For use with flexible shaft machines to sustain only full speed in operation. 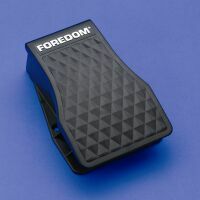 Also for use with scroll saws, drill presses, or other stationary power tools that the user wants to turn on and off without using the manual switch. 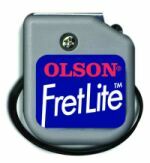 Rated for 115V or 230V, ¼ HP, 5 amp max. motors. 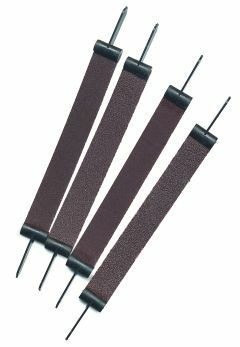 If you are using our Retrofit Kit on your scroll saw, then you are using this style of lower blade holder. • Penn State • Grizzley • Delta • Jet • AMT • True Value • Central Machinery • Foremost • Buffalo • United • Value Craft • Powermatic • And many other imported brand name scroll saws! Scroll Saw Blade Installation Fixture Fits 15" and 16" Scroll Saws. 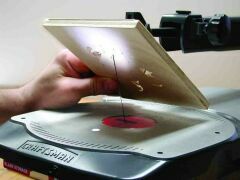 The Scroll Saw Blade Installation Fixture was designed to hold a standard blade holder, while the Sawyer installed and tightened a standard pinless scroll saw blade.